SLAWBUD company have a growing number of clients, located within London, including individual clients. The company has got many satisfied clients, and references are available upon request. S. Karpinski has a professional staff, qualified to a high standard. Gaudi Decor LTD is UK's official supplier & distributor for Gaudi Decor high-quality polyurethane decorative moulding products for the facade and interior. Mouldings are a great way to decorate your house or apartment, regardless of its style. It is a lot simpler to achieve the look now that we have decorative moulding made from polyurethane. Our collection comprises a wide range of intricate designs and has quickly become a market leader in Europe, widely respected by industry professionals who appreciate the high quality of our products, as well as the additional support we offer. 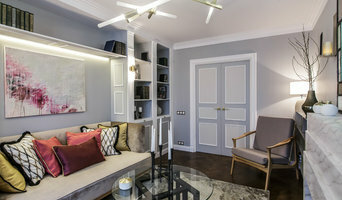 Excellent technical specifications, stylish design, flawless surface and well-developed details are the reasons behind the popularity that the practical and light mouldings GAUDI DECOR have gained among designers, architects and builders in many countries. We supply : *Brick Panels with and without insulation *Brick Tiles, more then more then 100 different colors are available in various shapes *Open Fireplace Chambers, Non-Combustible Fire Resistant *Brick Panels Fireplace Surrounds, Non-Combustible Fire Resistant *Brick Panels Skamot, Non-Combustible Fire Resistant *All necessary components/accessories The Brick Panels offer thermal insulation and brickwork in one. No foundations are required. 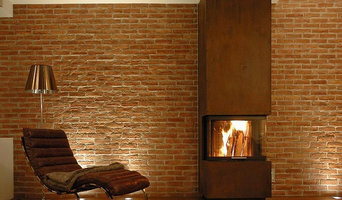 Brick Panels can be used to improve, decorate, insulate and to increase the value of your house. Using the Brick Panels is easy, cheap and quick. The Brick Panels system permits clean, uncomplicated and inexpensive brick facing of walls on old, prefabricated and new houses offering both thermal and sound insulation at the same time. Our Brick panels can be use outdoors and indoors. There is a host of individual design possibilities available with special elements co-coordinated for the specific building available for corner areas, lintels. 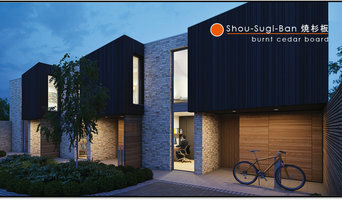 Vulcan Cladding Systems are specialist suppliers/manufacturers of low maintenance internal/external cladding and weatherboarding. Our excellent technical expertise, manufacturing experience and friendly approach are what set us apart. Steelo is the leader in structural steel, serving building companies within London M25 and M3/34 corridor. We offer reliable service, short lead times and 2-hour delivery slots. CE certified company. Easy installation interior mouldings for Interior Designers. At House Martin Online we stock an extensive range of contemporary and traditionally styled interior mouldings, please see our website. Products include coving / cornice (including for lighting), ceiling roses, columns, domes, niches, skirting boards, architraves, dado rails, panel mouldings and many other decorative mouldings. Using our high quality, lightweight, tough, detailed and easily installed Orac ® coving and trims, you will soon wonder why you ever struggled with heavy and easily broken plaster alternatives. Browse through our profile and see what we can offer. Products available from our site www.hm-online.co.uk are the best selling items from our extensive range of interior decorative mouldings. If you require interior or exterior decorative products not shown here, please visit our trade site at www.house-martin.com or e-mail your enquiry. We Cut, Form and Shape Plasterboard We process plasterboard to allow it to fold and form simple or complex shapes. The benefits are an extremely fast, high quality installation due to off site manufacturing saving money and reducing waste. R.P.Brown Builders, based in Hemel Hempstead, provides highest standard of services such as plastering, plumbing, carpentry, property maintenance, joinery and bathroom fitting services with the up most professionalism around small homes and offices and to the highest standards on keeping customers happy and delivering their requirements. Property Services with over 40 years experience in small building works over a wide range of properties and areas. H.G. Matthews Brickworks was established in 1923. We started by producing Handmade bricks in our woodfired kilns using our own clay dug from our fields. We continue to do this aswell as offering a Specialist Brick Service of - cutting and bonding bricks, - tinting and refacing, - Arch Fabrication, - Glazed Tiles & Bricks This can be done using our bricks or yours. 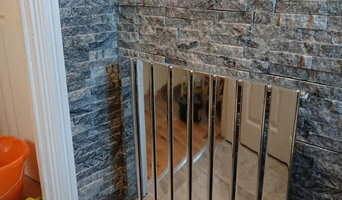 We also have our Ceramic department that has grown from producing the heritage glazed brick to providing bespoke hand glazed ceramic tiles and bricks in a ray of colours and designs unique to your design. They can be used for interior design or in an architectural external build. 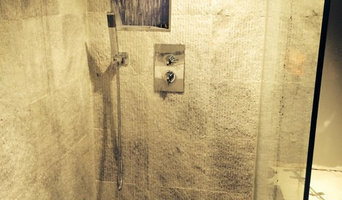 Planet Insulation is a leading supplier of Thermal Insulation Nationwide. We supply New Kingspan, Celotex GA4000 and British Gypsum products as well as many other thermal products distributed direct to you from our Nationwide distribution network. Why should I use Uxbridge, Greater London building merchants and timber suppliers? If you want to leave the building material selection to your hired contractor, architect or designer, then you probably won’t need to talk to Uxbridge, Greater London builders’ merchants, but it is a good idea to do so if you plan to be more hands on with your project. Timber merchants will be able to supply you with any wood materials you need for flooring, kitchen worktops, skirting boards, doors and more. The type of timber they can supply may depend on the supplier, but most will sell varieties of hardwood, plywood and softwood; suitable for a range of uses. If you’re after reclaimed building materials for a lived-in, vintage look, then plenty of timber merchants in Uxbridge, Greater London now offer reclaimed, salvaged or recycled wood for you to use as floorboards or wall cladding. If it all seems a bit overwhelming, Uxbridge, Greater London building merchants will be able to advise you on the advantages of choosing certain materials. Or, you can rely on building contractors, architects and designers that may be working on your house project with you to advise or select your building materials for you. Here are some related professionals and vendors to complement the work of building supplies: Specialist Contractors, Landscape Contractors, Home Builders, Main Contractors, Design & Build. Find timber and building supplies on Houzz. Narrow your search for Uxbridge, Greater London timber merchants and builders merchants’ by selecting the nearest city or postcode. Find trusted building merchants and building suppliers in Uxbridge, Greater London with reviews from residential builders, interior designers and homeowners.